Realme, the Oppo owned subbrand, has today launched two new phones in the country. These include the flagship, Realme 2 Pro and a budget level phone Realme C1 which has debuted with a cheaper price tag of Rs 6,999. The Realme 2 Pro is a step up from Realme’s previous release, the Realme 2. This new phone comes with an upgraded processor and upgraded camera which justifies its price tag. It’s notable that Realme has seen massive success for its first two phones, and following that, the brand is launching new phones left, right and centre and is progressing at a rapid rate in the country. The Realme 2 comes with a starting price of Rs 13,999, and on top of that, the company has also decided to launch an 8GB and 128GB internal storage model. At this price range, Realme 2 Pro undoubtedly offers some noteworthy specifications. Below we have listed the top five features of the Realme 2 Pro which make it worth the hype. The Realme 2 Pro sports a 6.3-inch full-screen IPS panel display with a dewdrop styled notch. 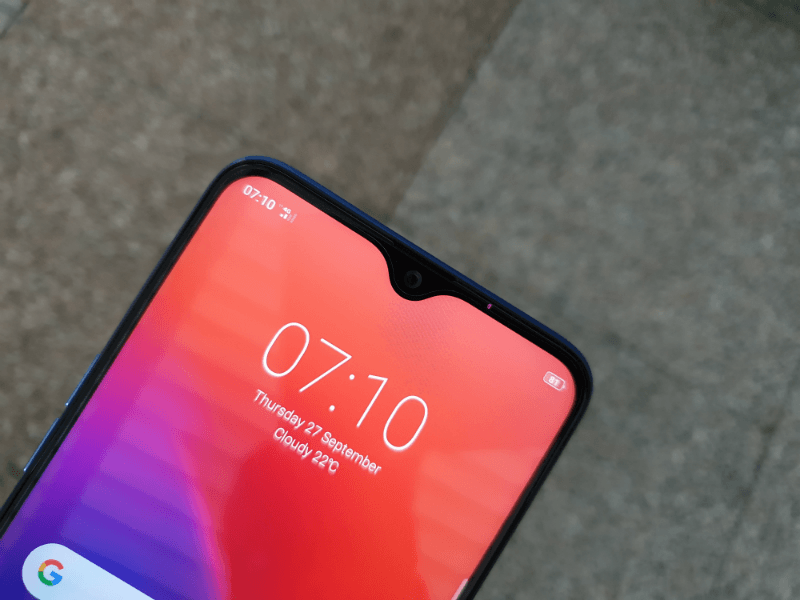 The notch on the phone has been shaped in a curve pattern and takes up less screen real estate as compared to the other phones with broader notches. What makes things better is that the Realme 2 Pro is the only phone in this price segment to come with such a display. Although some other devices like Oppo F9 Pro and Vivo V11 Pro also come with a similar design, they are priced over Rs 20,000 and above. 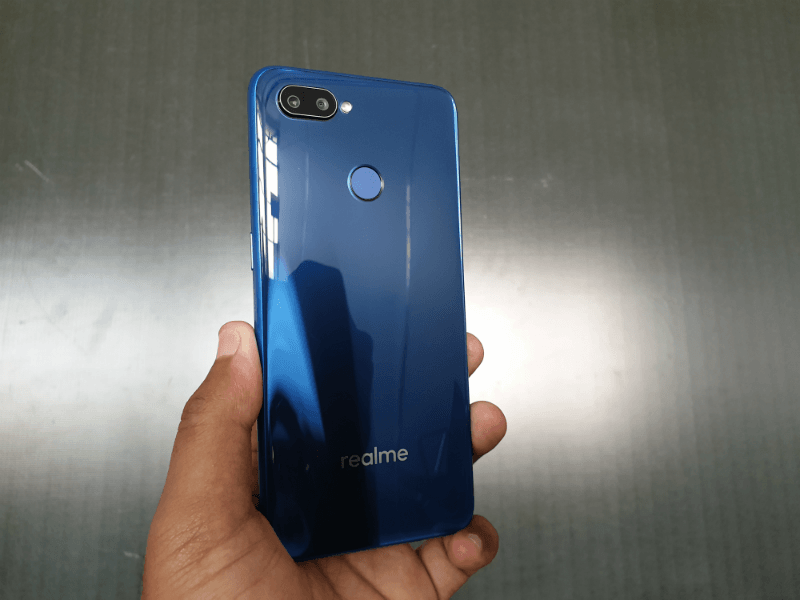 It came as a surprise when Realme announced the Realme 2 Pro in an 8GB/128GB variant, unlike its previous phones which only sported 3GB/4GB of RAM. This model of Realme 2 Pro comes with a price tag of Rs 17,999. Other variants in the Realme 2 Pro line-up include the 6GB/64GB and 4GB/64GB variants. Realme’s previous debut, the Realme 2 was a budget phone in the truest sense and used to offer a decent or mediocre performance by sporting Snapdragon 450. The Realme 2 Pro comes undoubtedly as a step up from that. The Realme 2 Pro packs Snapdragon 660 SoC under the hood, which has been claimed to be one of the best SoCs for mid-range smartphones. 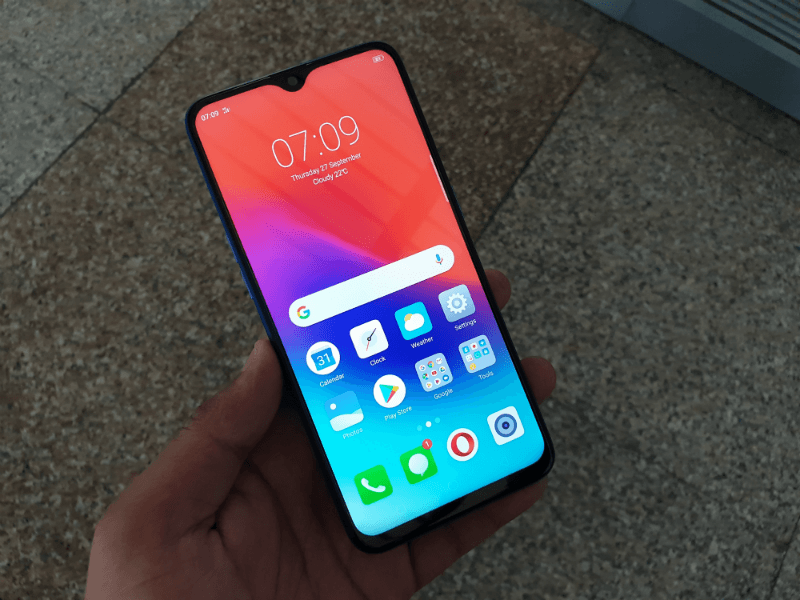 Given this setup, the Realme 2 Pro is expected to perform mundane tasks effortlessly and will also be able to take up some resource-intensive applications and multitasking without any worries. Unlike budget phones by Realme, which come with a single camera on the rear side, the Realme 2 Pro comes with a dual rear camera setup which includes a 16MP f/1.7 Sony IMX398 primary sensor and a 2MP f/2.2 secondary sensor. The sensor on the rear comes with a 1.12-micron size pixel and also comes with PDAF and LED Flash. On the front, the Realme 2 Pro rocks a 16MP f/2.0 sensor. The phone also comes with a lot of AI additions like scene detection. Realme 2 Pro has been claimed to use a dedicated AI Engine in pairing with the Snapdragon 660 SoC thus delivering improved imaging quality and general performance as well. It seems that Realme is finally done with the diamond cut back casing which had managed to become eye candy for the budget phone buyers. The new Realme 2 Pro doesn’t come with a conventional diamond cut back but instead sports traditional aesthetics. However, the colour options provided by Realme 2 Pro are undoubtedly eye-catchy as the colour options include Black Sea, Ice Lake, and Blue Ocean. The Realme 2 Pro has debuted with a starting price tag of Rs 13,999 for the 4GB RAM/64GB storage variant. The 6GB RAM/64GB storage and 6GB RAM/128GB storage option come with a price tag of Rs 15,990 and Rs 17,990 respectively. The phone will sell exclusively on Flipkart with a discount for HDFC Bank card users, and it will also be up for purchase with a no-cost EMI. is it support CA ?, or what about Custom ROM is available ?, also is it support Dual VoLTE ? The camera of Realme 2 Pro is average, it’s battery is average and most importantly it’s colorOS $… would have been great if it had stock Android and great camera & battery… and charged additional Rs.1000 for the same – Rs.14,999… it would have been a great smartphone and a bigger blockbuster. Camera is decent one . RM2pro camera is very good pictures.